Temperance Advocate and Seamen’s Friend, 1843–1954. Rev. Samuel Chenery Damon was sent by the American Seamen’s Friend Society to be chaplain in Honolulu. The Damons sailed from New York March 10, 1842 aboard the Victoria, Captain Spring, and arrived in Honolulu October 19, 1842. He was the pastor of the Bethel Union Church, Seamen’s Chapel for 42 years and was the publisher and editor of the periodical The Friend from 1843 — 1885, when he retired. The first issue was published in Jan. 1843, originally under the name Temperance Advocate, then as Temperance Advocate and Seamen’s Friend, with the Advocate and Friend being published as an extra, then as The Friend of Temperance and Seamen, with The Friend as an extra, and finally simply as The Friend, beginning January 1, 1845. From 1885 through 1887, it was co-edited by the Revs. Cruzan and Oggel. The editorship then passed to Rev. 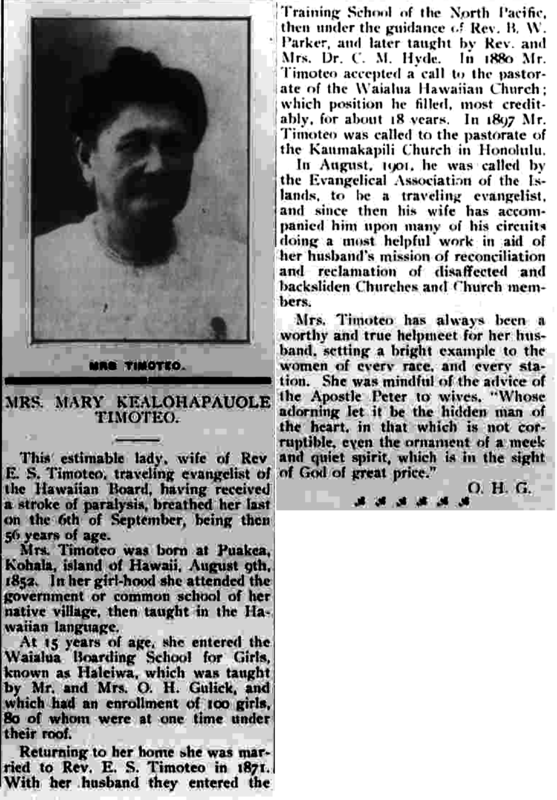 Sereno Bishop, who held the post until the publication of the paper fell under the auspices of the Board of the Hawaiian Evangelical Association in April of 1902 where it remained until June 1954. Since then, it has continued in a different format under the Hawaii Conference-United Church of Christ up to the present day, making it the oldest existing newspaper in the Pacific. 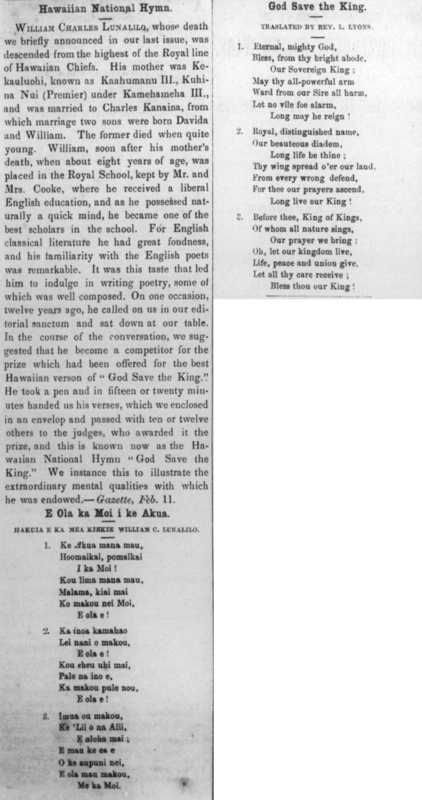 Because of its longevity, The Friend is an excellent resource for scholars of nineteenth-century Hawaiian history. This collection contains 1,396 issues comprising 21,030 pages and 50,904 articles. 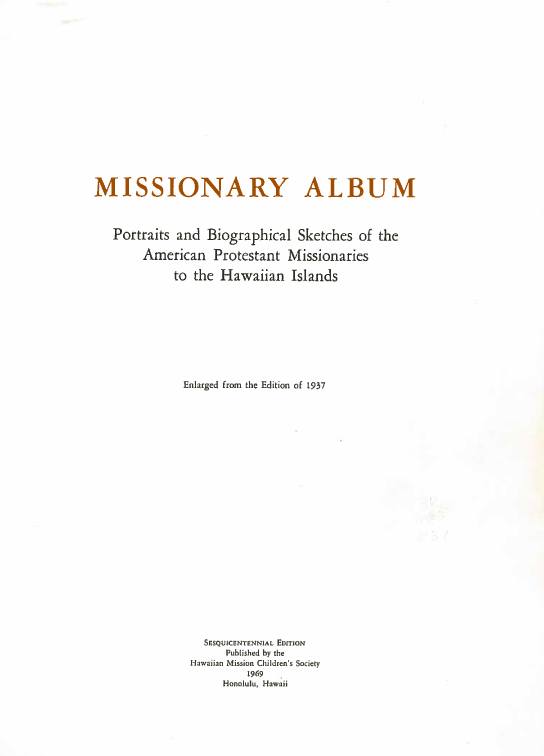 [This is a great reference if you are looking for information on Protestant missionaries to Hawaii nei. It was put out by the Mission Children’s Society. Unfortunately, it seem that the list of missionaries to Micronesia and the Marquesas was left out of the publication to make room for the index. I am not sure if it still available for purchase at the Mission Houses, because I cannot find it online, as they seem to be doing an overhaul of their gift shop portion of their online site, which can be found here. 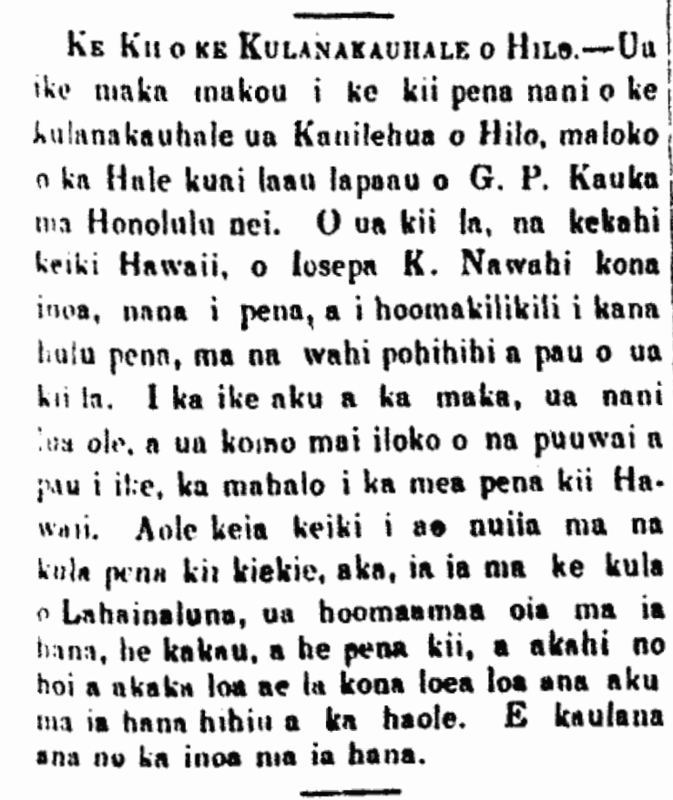 Mahalo to Elinor Langer for her comment on trial of participants of the January 6, 1895 Counter Revolution. 1895. And it was on January 17, 1895, the second anniversary, that the Republic opened the trials of the people arrested for “treason” in the revolt. Has anyone seen accounts in the Hawaiian papers about what happened on January 24, the day the Queen signed her forced abdication statement? According to “The Friend” (February 1, 1895) “On the 24th, while engaged in the trial of a company of natives, the Court was startled by the fall upon the table around which they sat of a massive bar of plaster from the lofty ceiling [of the Throne Room, where the trials were taking place.] The bar was nine feet long, forming part of a decorative panel. It fell upon the center of the table, precisely fitting the length of it. Col. Whiting had a narrow escape, his face being grazed, although protected by his military hat. The plaster had been loosened by a sharp shake of earthquake the night before.” The Queen signed the statement at 11 a.m. in the rooms directly above –perhaps even at the same time? [See the original article, “The Story of the Insurrection” in The Friend, Volume 53, Number 2, Pages 9–11. February 1895.